I dreamed about becoming a painter. With PI-REC, we realize it nowadays. We propose a universal image reconstruction method to represent detailed images purely from binary sparse edge and flat color domain. Here is the open source code and the drawing tool. *The codes of training for release are no completed yet, also waiting for release license of lab. 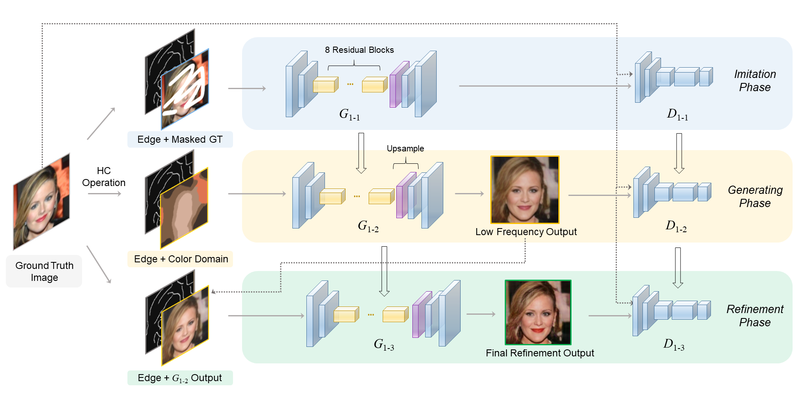 Figure (a): Image reconstruction from extreme sparse inputs. Figure (b): Hand drawn draft translation. 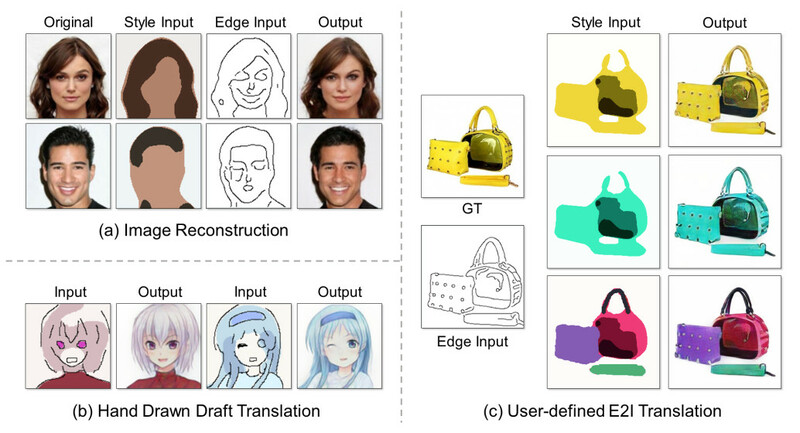 Figure (c): User-defined edge-to-image (E2I) translation. We strongly recommend you to understand our model architecture before running our drawing tool. Refer to the paper for more details. Unzip the .7z and put it under your dir ./models/. Files are ready now! Read the User Manual for firing operations. Figure (c): 用户自定义的 edge-to-image (E2I) 转换. Code structure is modified from Anime-InPainting, which is based on Edge-Connect.